There were 634 press releases posted in the last 24 hours and 153,942 in the last 365 days. A short trailer for the “My Shining Hour” TV Special is available on YouTube at https://youtu.be/fmFPxePab_A. “My Shining Hour” is airing as a fundraiser to support both Carse’s anti-bullying charity “Y i Count” and the GoodLife 45 network. On the self-produced program, Carse shares the experiences of his music career, which has taken him from the top of the charts, to living out of his car, to the recording of his new album “My Shining Hour”. Told through music and narrative, Carse takes viewers from Canada to the U.S., to Africa, and to Israel sharing his journey of music, restoration and discovering his true calling. Always a champion of worthy causes, Carse co-wrote and performed the anthem "Reach Out," the official song for The American Red Cross. He also wrote and performed the title track for the album "Holiday Heroes" for The Special Olympics in Canada. The “Holiday Heroes” album generated over $2 million in net profit for The Special Olympics. Carse has launched his Y i Count anti-bullying campaign to provide a platform for this generation, helping them to understand their true value and potential and the power of words, and to counteract the aftermath of bullying. The special debuts the Y i Count theme song, “Awesome.” See Steph’s recent performance of “Awesome” at the Bell Center in Montreal: https://www.youtube.com/watch?v=SXRoinumw8I. GoodLife 45 is Where Hope Happens! This network shares Christian and family-friendly programs that inspire viewers with relevant content that points the way to a better life in Jesus Christ. With a vision to share the love of Christ in compelling ways, GoodLife is committed to showcasing life-changing stories from real people. Broadcast to 9 Central Florida counties and over 1.5 million homes, the network strives to bring hope, transform lives and bring viewers into a closer, more intimate relationship with Christ. 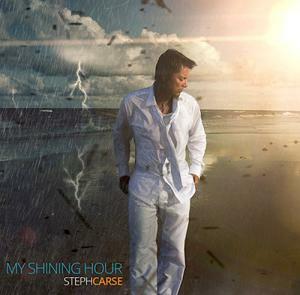 For additional information, visit www.StephCarse.com www.MyShiningHour.com and www.yicount.org. Steph Carse is available for interviews.